DHANKUTA, Jan 2: Bhedetar, a popular hill station in eastern Nepal, was jam-packed with tourists on New Year’s eve. There were both domestic tourists as well as foreigners. According to the hoteliers, they were not able to accommodate the guests ‘despite preparing beforehand for additional guests’. According to Rai, there has been significant rise in the number of internal tourists. There was also a remarkable number of Indian tourists. “We cannot provide the exact figure right now. However, it is interesting to note that internal tourists have increased,” he said. “Indians are our regular guests. However, this time, the number of Indian tourists has not been very encouraging. It could also be due to the ban on Indian notes,” he stated. Rai also informed that ‘helicopter tour’ offered by the association has already done transaction of Rs 5 million. Tourists are enjoying to tour in helicopter a lot. Cashing in on the New Year, the association also organized a food festival at Bhedetar. The stalls offered typical food of different indigenous communities including Rai, Limbu and Newar, among others. Similarly, there were other stalls that showcased handmade gift items. “Those items also drew a considerable number of customers. We are doing brisk business,” said Rai. 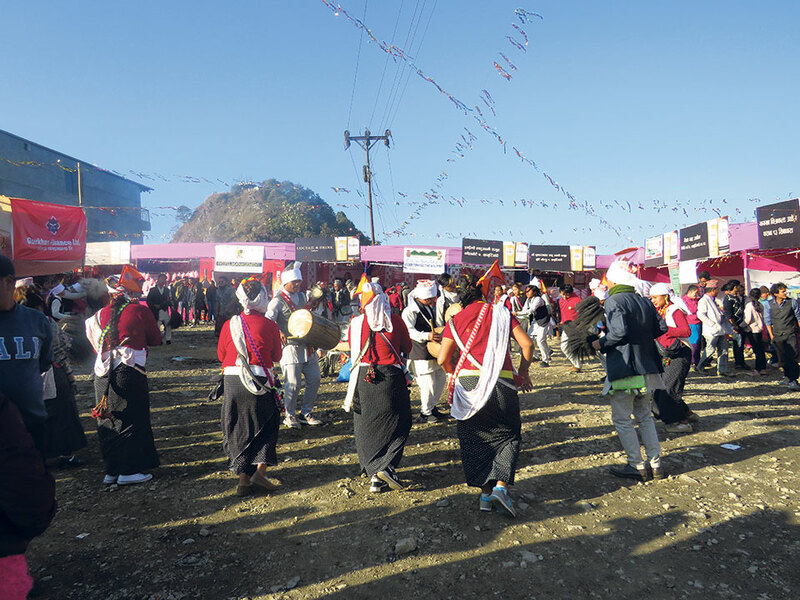 Apart from visitors attending the two-day festival that concluded on Tuesday, Bhedetar also attracted enough number of picnic groups. The crowd also contributed to the mini market in Bhedetar. “In the view of the new year, there were discounts on most of the stuffs. People are taking home handicrafts made of bamboo and other items. 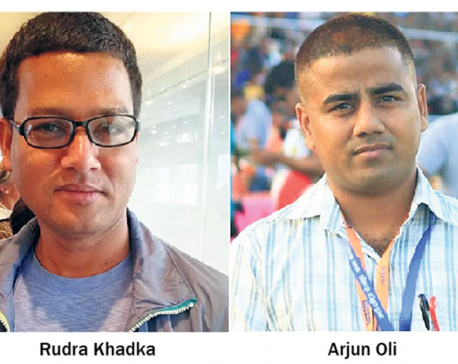 Even for meals, there has been some consideration,” Rai informed Republica. Bhedetar has remained a popular junction for people of eastern Nepal, especially the nearby towns, since a long time. Locals of Dharan, Itahari, Biratnagar and Damak, among other areas, find it a perfect place for retreat. Nestled at a height of 1420 meters above the sea level, Bhedetar started attracting Indians since the last decade. For the people of lower lands, Bhedetar has always been a great attraction. According to Rai, apart from the unique landscape, wonderful weather and home-stay service by indigenous communities, temples are also a great attraction for tourists in Bhedetar. According to him, the ‘heli tour’ remained successful as there were 16 fights just on Monday and Tuesday. “We mark it as a successful new year event. We are planning to come up with even better plans to promote tourism of this place in the days to come,” he reiterated.